Across the west, there is a rising tide of people who feel excluded, alienated from mainstream politics, and increasingly hostile towards minorities,immigrants and neo-liberal economics. Elections in America and across Europe have shown that many of these people have turned to national populist movements in a revolt against liberal democracy and the rationalism of the enlightenment. Their ideas can be seen as anti democratic and in some cases fascist, but support for this right wing populism has grown inexorably over the last five years. How should we engage with and respond to a set of ideas and values which which appear so alien to mainstream political thinking in the west in the post war decades? 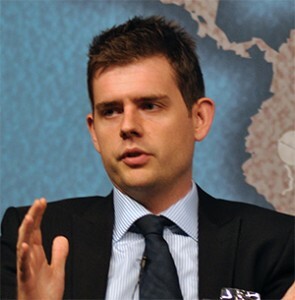 Matthew Goodwin is Professor of Politics at Rutherford College, University of Kent and a Senior Visiting Fellow at Chatham House. He is the leading authority on nationalist and far right politics and has written extensively on this topic. In 2015 he won the Paddy Power Political book of the year for ‘Revolt on the Right’. His most recent book ‘National Populism: The Revolt Against Liberal Democracy’is due to be published in October and signed copies will be available to purchase on the evening of his talk. He will look at the background and ideas of national populism, the challenge that it presents to western democratic systems and will suggest ways in which we should respond to that challenge.